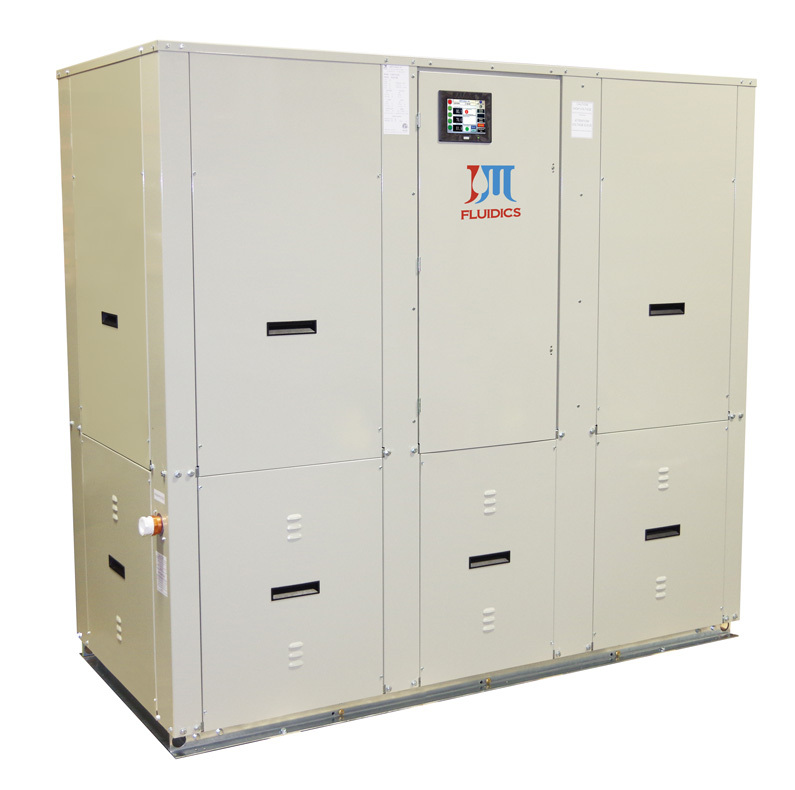 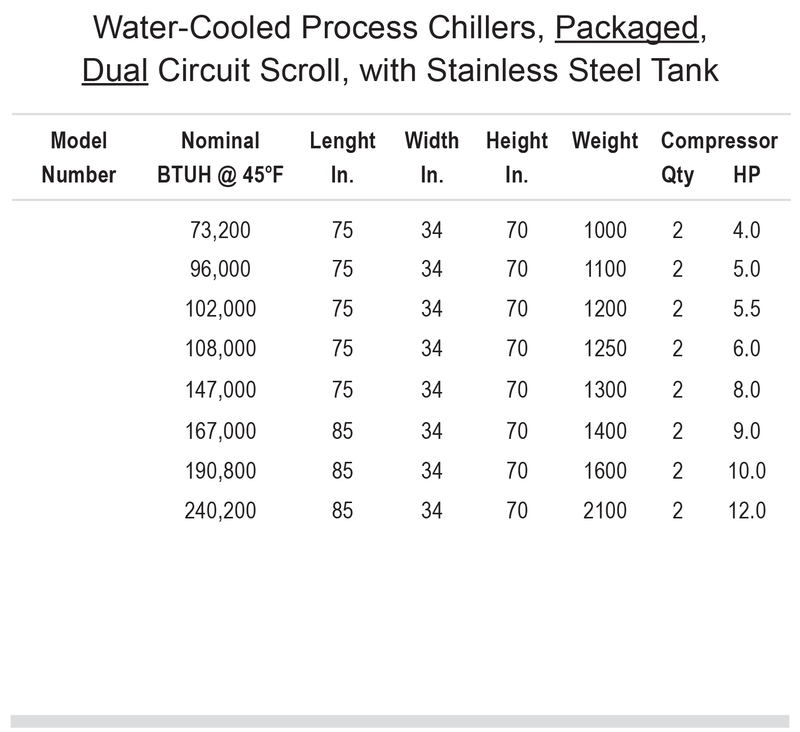 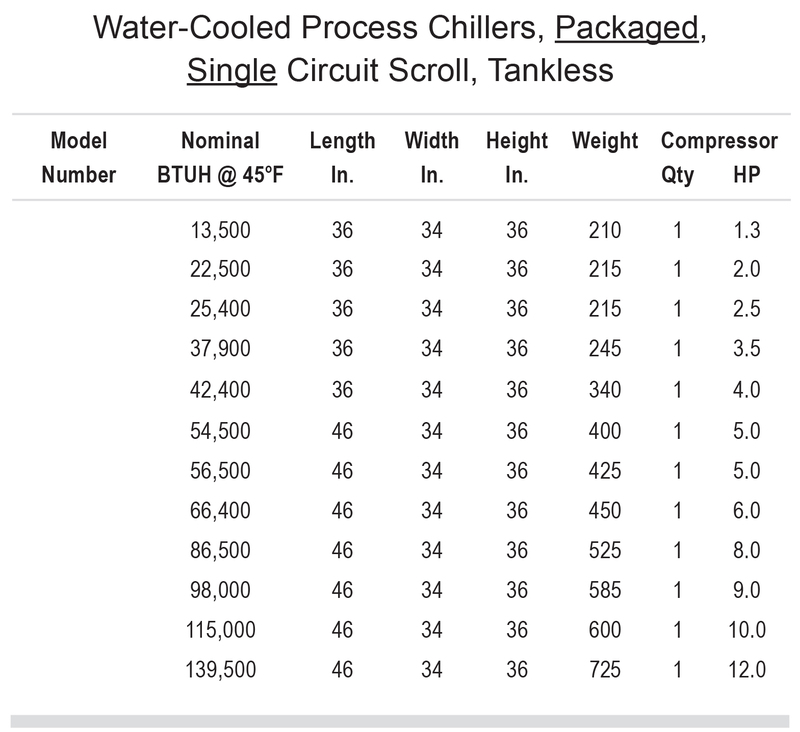 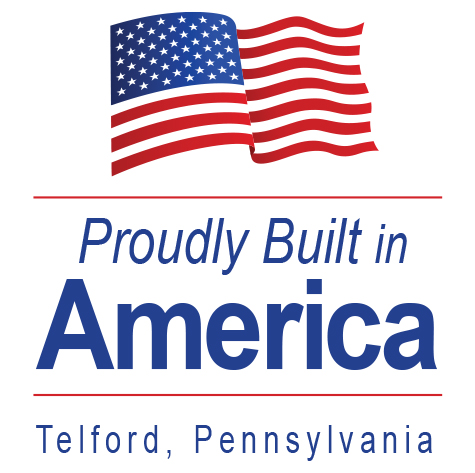 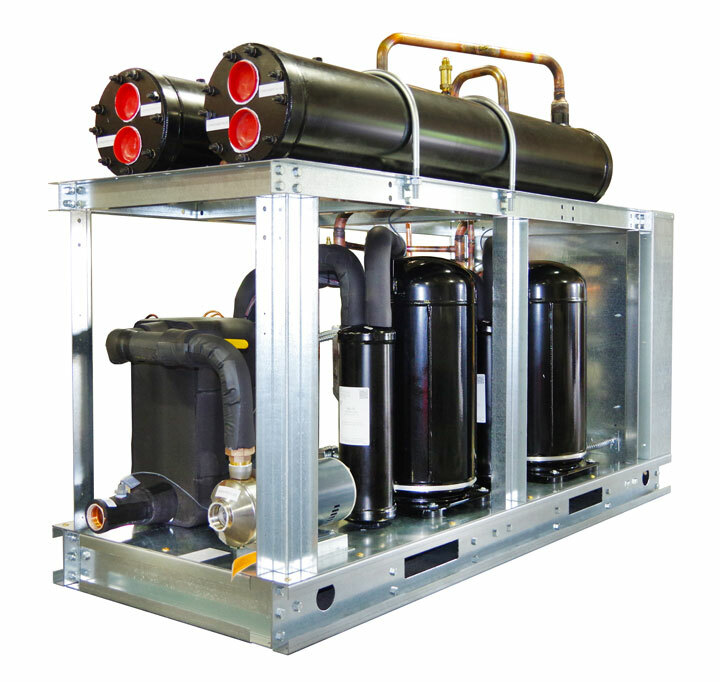 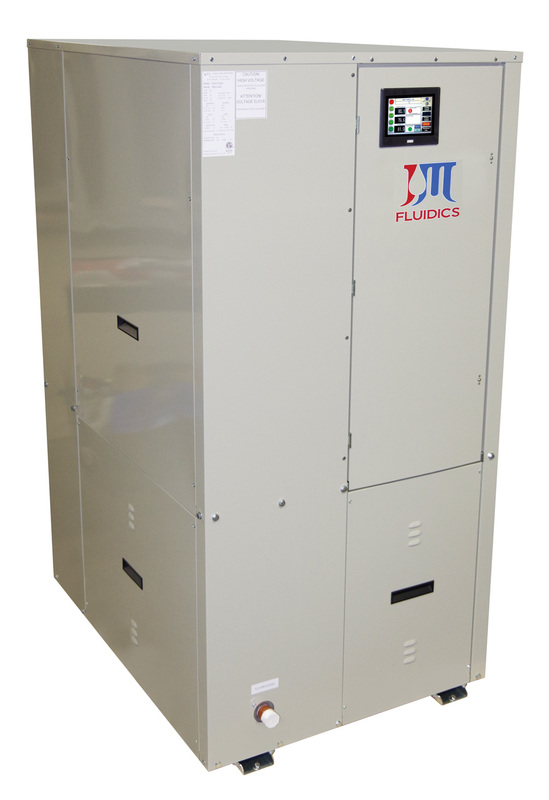 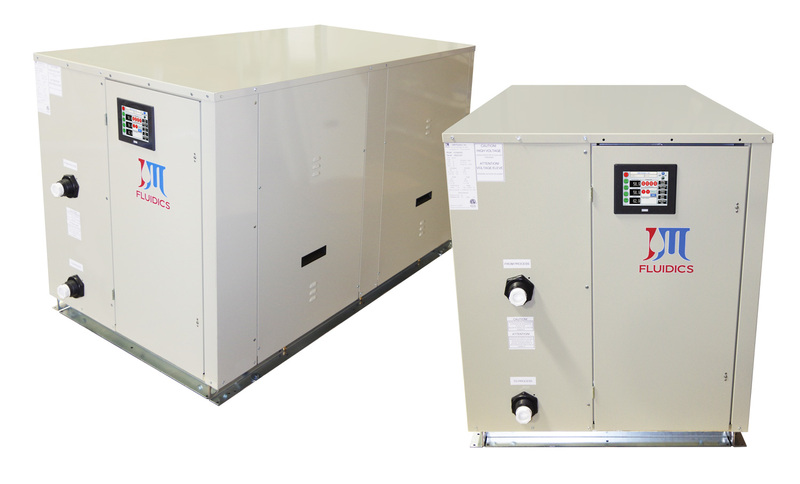 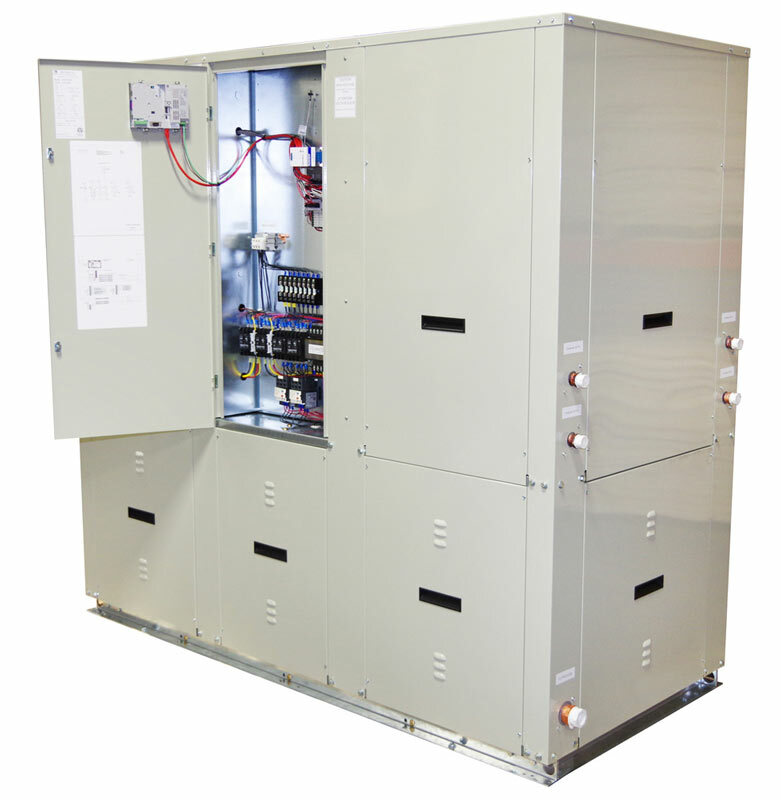 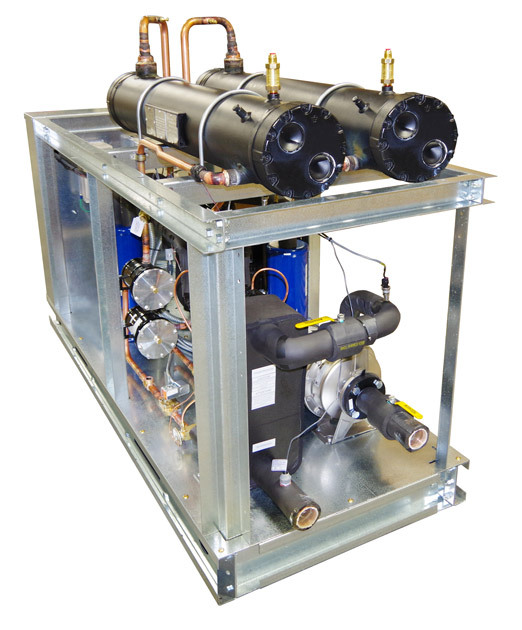 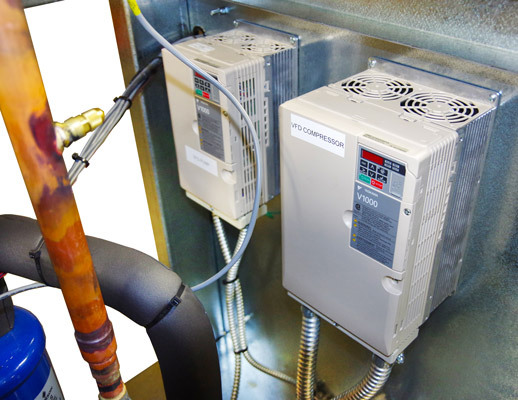 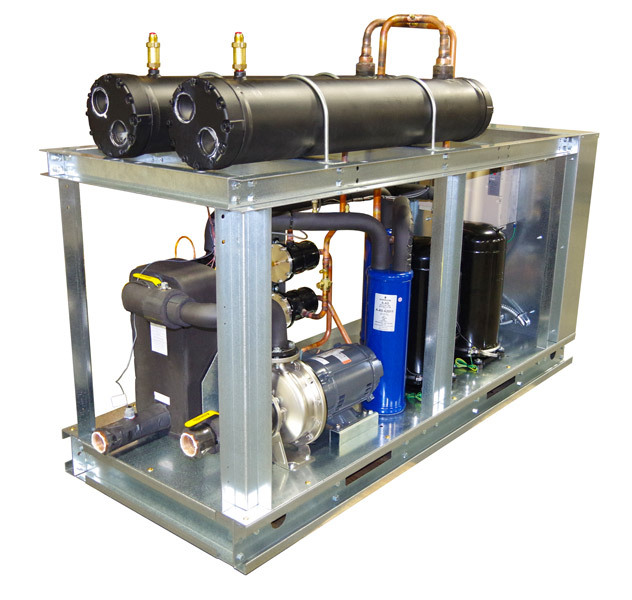 J&M Fluidics' Water-Cooled Scroll Process Chiller Product Line is ideal for industrial cooling and refrigeration applications. 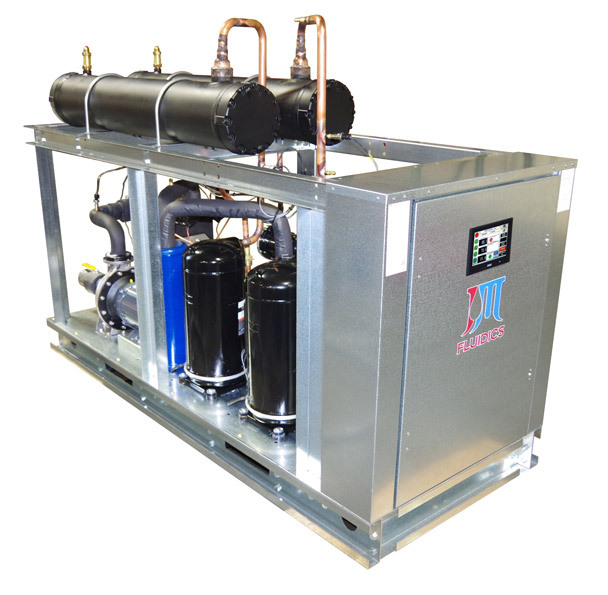 Available in 1.0 to 60.0 HP. 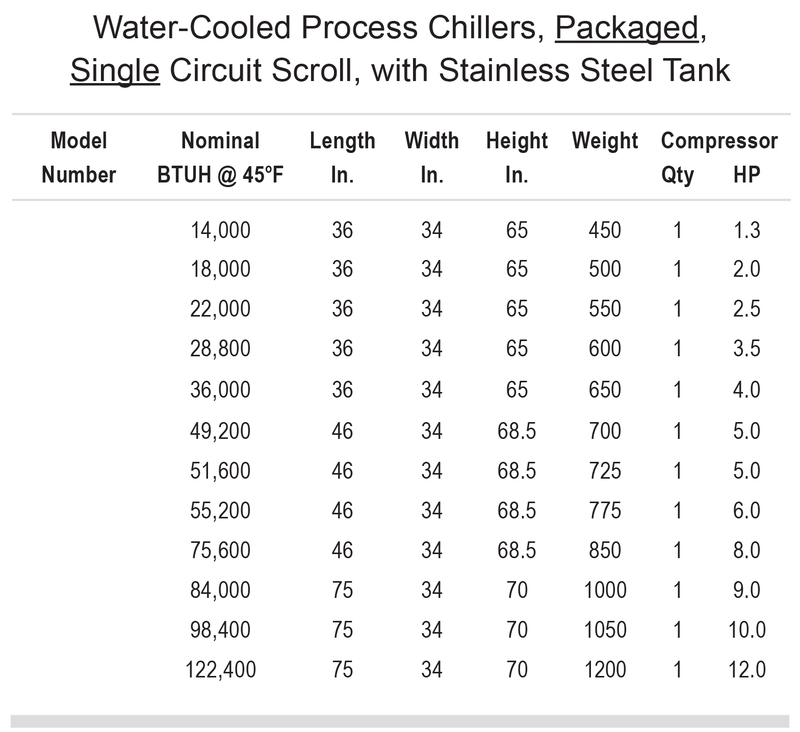 Cooling tower or other water source is required to cool the chiller condenser coil. 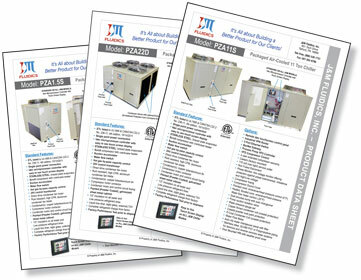 STANDARD ON ALL J&M MODELS: Pentra Microsmart, Programmable Logic Controller (PLC) with HMI Touch Screen Display. 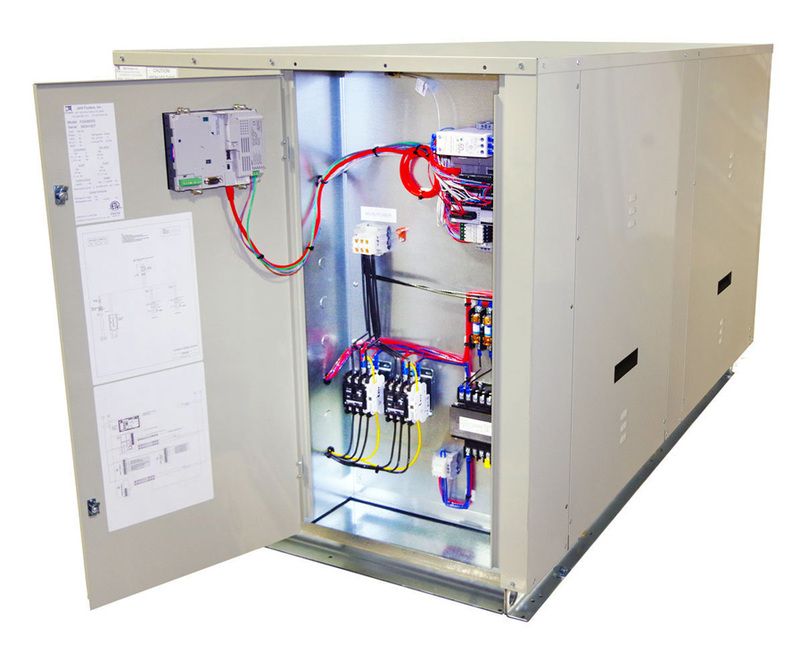 Logic Controller (PLC) with HMI Touch Screen Display.